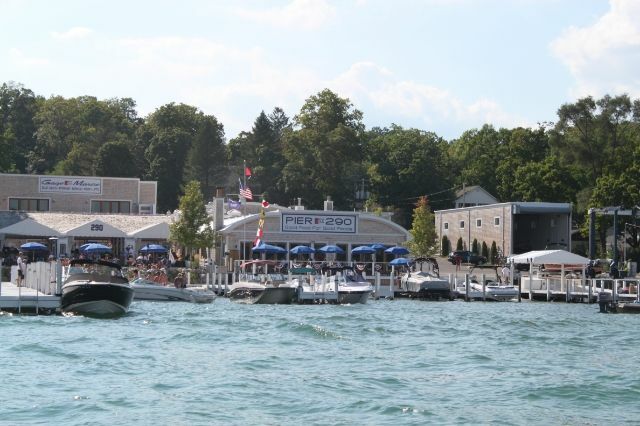 There is a wonderful restaurant by my hubby's family Lake House called Pier 290. I had never been there prior to this past weekend, but I can tell you this will for sure not be the only time I visit! The food was amazing but even better was the decor and way it is set up (both indoor and outdoor dinning areas that is). 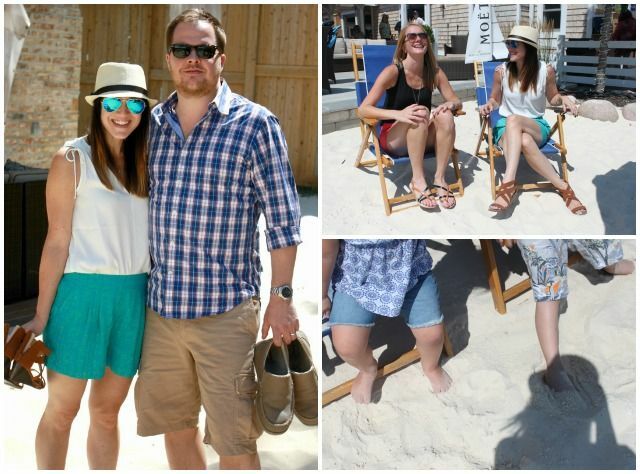 The sand is obviously brought in as it is the most soft white sand my feet have ever stepped in. It's almost like being whisked away on a mini vacation in the middle of our little lake house get away (which was also like a mini vaca). Have you ever been to Pier 290? If you are ever in the Lake Geneva area, I highly recommend you do! 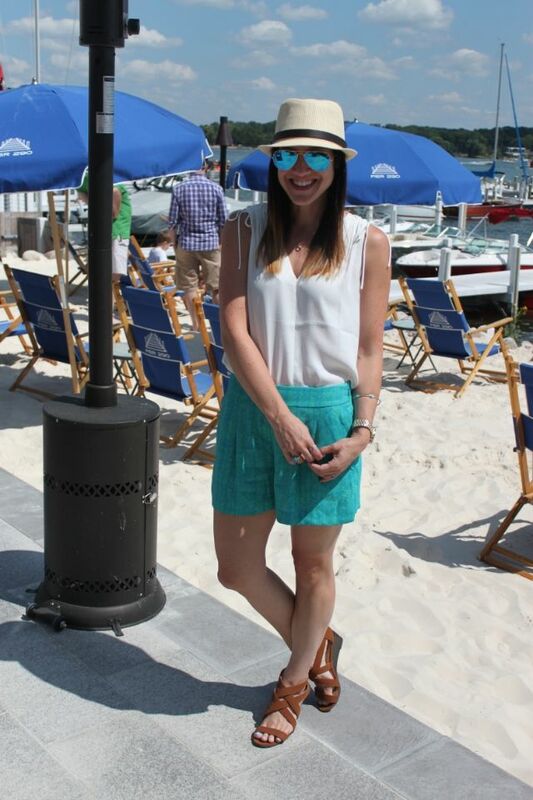 Head over the the Sisters Marie blog today to see Kaitlyn's outfit post from this day! You and yours hubs always living life to the fullest! I LOVE IT! those sunglasses are FAB and of course you look adorably chic...as ALWAYS!